This fabulous barn conversion is in the grounds of a large stately mansion house. The owners have created a versatile space which has a variety of uses from snooker and table tennis, through to hosting large dinners and parties. But at the heart of this lovely room is the stunning home cinema. 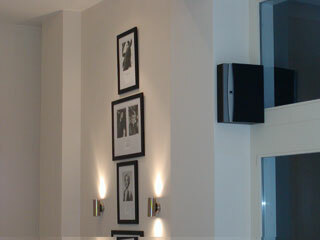 At the front is an AV wall topped with fabric covered panels which house the DALI Phantom loudspeakers. 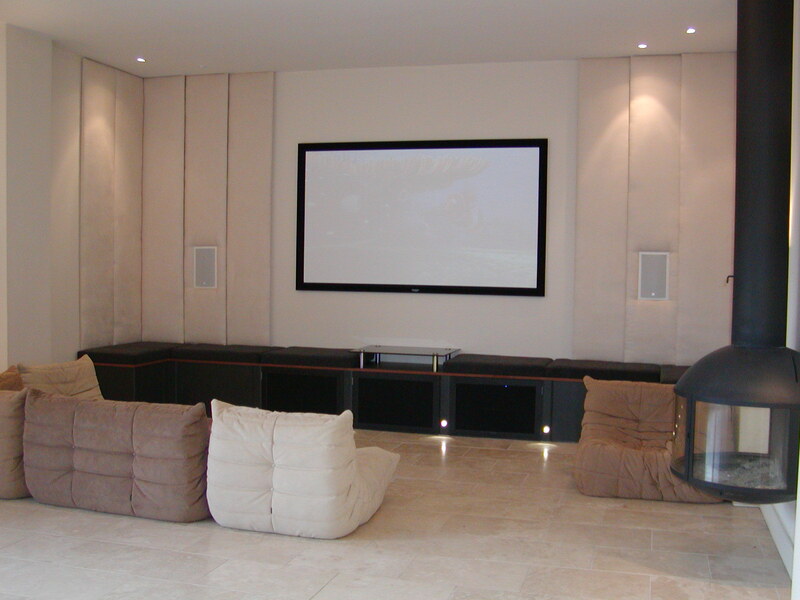 The panels give a nice soft touch to an otherwise hard surfaced room and improve the acoustics. A 10′ fixed screen from Cyberscreens gives a perfectly flat picture every time. The Sony HW55 projector hides neatly inside the cross-beam and shines through a small aperture. ventilation is through the access hatch and up into the loft. A nice pair of wood burning stoves finishes the modern look. The results are quite stunning – both the look and feel of the room are crisp and modern, and it can be adapted to a number of different leisure activities. Of course the sound system is both exciting and powerful to listen to but never gets tiresome, the hallmarks of an Anthem / DALI combination. From the thunderous Subwoofer to the delicate ribbon tweeters this system extends beyond the frequency range of the human ear. 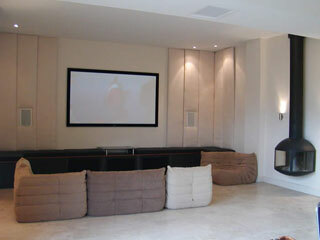 Alan and Bill have helped us create a fabulous cinema room. It is clear that they are both committed to making sure that clients are happy with the outcome, and we now have a fabulous leisure facility that should last decades.